Brighten up any day with this sunny Olive Outfit! 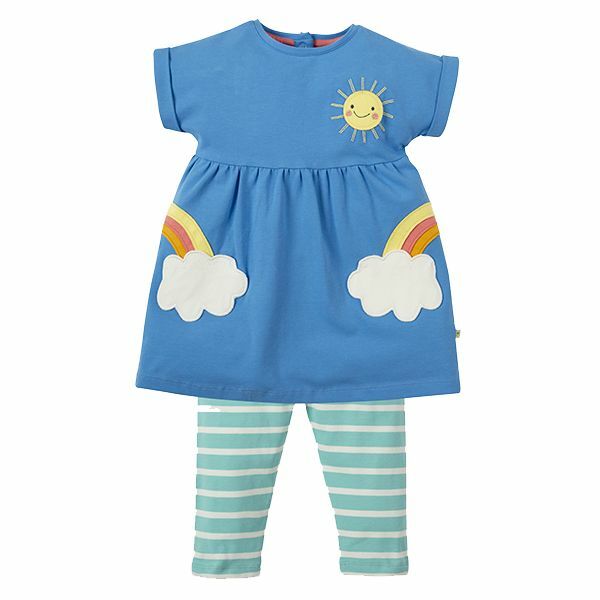 With playful cloud patch pockets that little ones will love hiding their special treasures in, just follow the rainbow appliques. This set features a gorgeous Sail Blue tunic with coordinating St Agnes Chunky Breton striped leggings for a ready-for-anything outfit.